South Africa delivers such awe-inspiring experiences and adventures but it's one of those places that is best seen as part of a group tour. 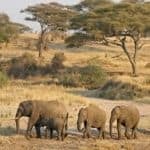 On this solos-only trip you’ll experience wildlife encounters, wine-tasting, spectacular sight-seeing - and all with your own double room in first class hotels with no single supplement. We offer dedicated solo traveller tours to some of our most popular destinations, enabling you to explore spectacular parts of the world in style, with complete peace of mind and in the company of like-minded people. There are no single supplements and accommodation is based on the single occupancy of twin or double rooms in first class accommodation where we have negotiated sensible prices for solo travellers. Group sizes vary between 10 and 25 people – whilst there is no age grouping, most of our single clients tend to be over 50. Experienced tour managers accompany each trip throughout, supported by knowledgeable local guides and drivers. 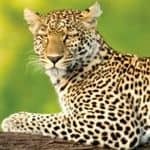 Splendours of South Africa, for solo travellers only, is all about seeing spectacular wildlife, jaw-dropping scenery, whilst enjoying once in a lifetime experiences in like-minded company. 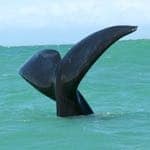 Our 13-day itinerary includes wildlife drives in the Amakhala Game Reserve and Tsitsikamma National Park in the Eastern Cape, a cruise to the Knysna Heads, a visit to a working ostrich farm, wine tastings in the Cape Winelands, a meerkat adventure tour (optional) and time in Cape Town, including a ride up to the top of Table Mountain. Our final day is a spectacular tour of the Cape Peninsula, taking in Camps Bay and Hout Bay, where you can enjoy an optional cruise to Seal Island, Cape Point, the penguin colony at the old British Naval Base in Simon’s Town and Kirstenbosch Botanical Gardens. 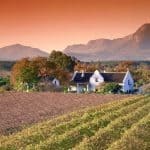 Find out more about our South Africa escorted tour, along with other tours for single travellers. * Find out more about Cox & Kings.